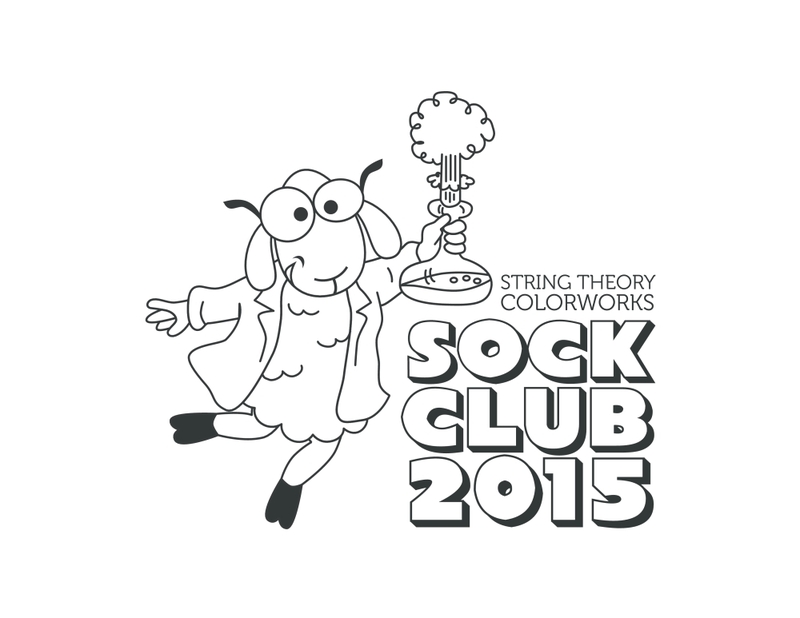 Did you miss out on sock club sign ups in December? Well, now you can join in for the second half! I have sign-ups here for the August, October, and December shipments of the 2015 club. They will be available until June 11th or until all spots sell out, so if you were bummed you missed out in December make sure you grab a spot now! If you signed up in December, don't worry, you are already getting these club shipments, so unless you'd like to double (or triple) dip, feel free to ignore this part and go on to the rest of the (awesome, if I do say so myself) newsletter! Just a quick reminber--Monday is Memorial Day in the US, so there may be some delays in shipping yarn this week. This week's update is going to be a little weird. The yarn will only be available until around 10am Monday morning because.. String Theory Colorworks is having a trunk show! That's right! 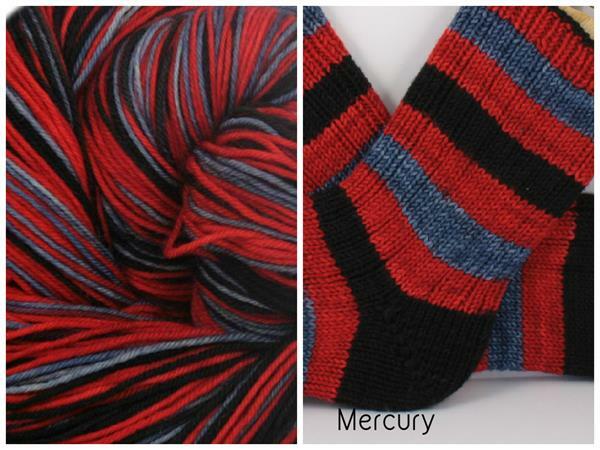 For the first time ever, I'm having a trunk show of my yarns! I'll be at Nitro Knitters in Beaverton, OR on June 6th from 12-4pm. So, I'm packing up all my yarn to ship off starting Tuesday. I'll have 4 new colors with me--1 is an SEU that I dyed just for the show, the others will be joining the regular line up in the shop. Once I get back, I'll have a special update on June 12th with everything that didn't sell, so be ready for a massive yarn explosion! So, my Northwest crafters, I hope I'll see you there! 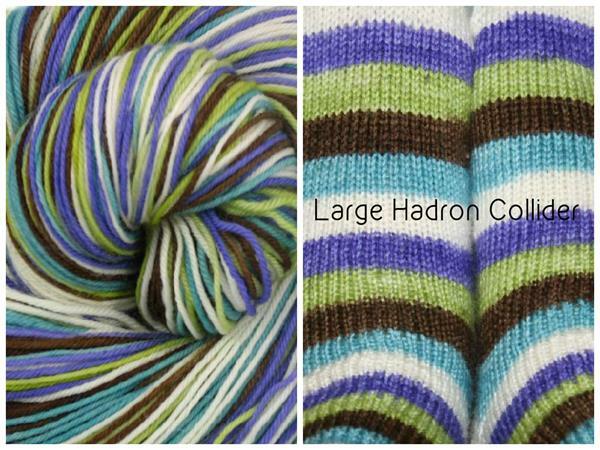 Click on the colorway name to be taken to all yarns currently in stock in this colorway. See other projects in this coloway! 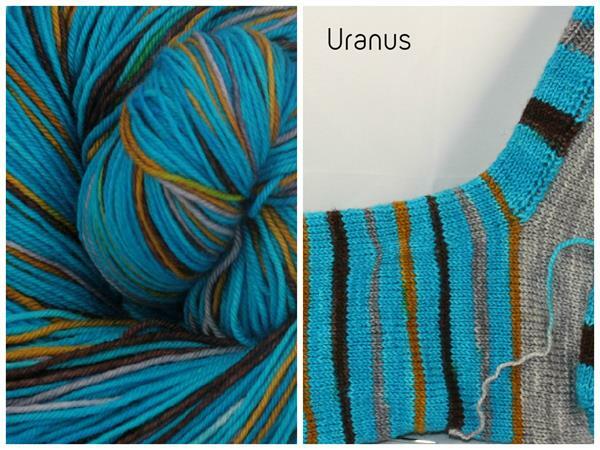 See other projects in this colorway! 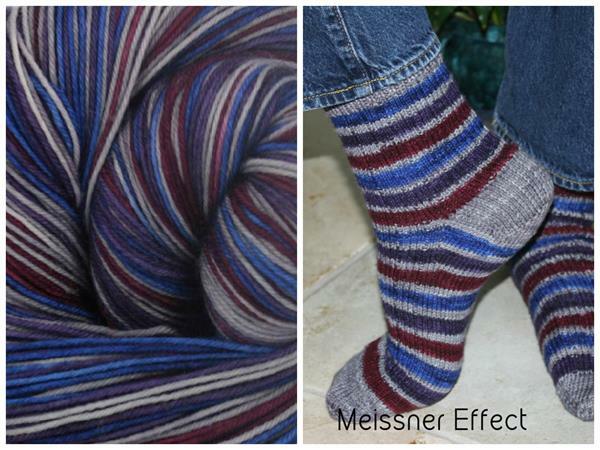 First up is the Tumbling Blocks Striped Socks which I totally love. 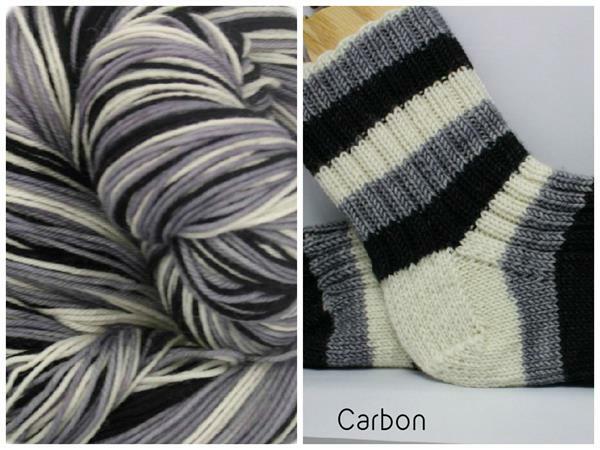 Second is Calico Scallops, another great sock pattern with a new twist on a classic chevron.